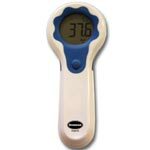 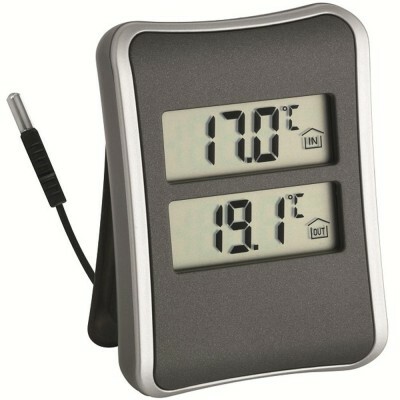 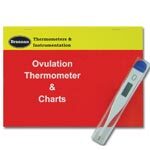 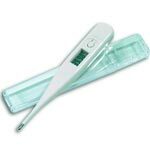 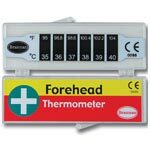 The digital indoor/outdoor thermometer is a sleek temperature unit, with a cabled probe. The main unit is for indoor use, and features two individual displays – the top is for indoor temperature, and the bottom is for the reading taken from the probe. 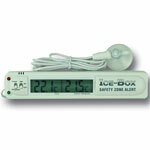 Aswell as this, the unit also stores minimum and maximum readings taken within a 24 hour time period. 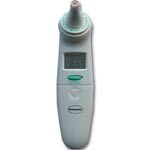 The probe is on the end of a 150cm cable, this can be fed through a window or door to be used outside, as it is fully weatherproof.